February 25 2018 - For many managers, the extraction of a particularly resistant molar is a preferable alternative to giving negative feedback to a team-member. The choice seems to be stark: go in all guns blazing and risk ruining your relationship, demotivating them and making their performance worse; or tiptoe around the subject and risk having no impact beyond that of damaging both the respect in which you're held and your own self-respect. And at a time when 360 degree evaluations are increasingly popular, the problem is compounded when you want to give negative feedback to your boss. To the risks above are added those of getting fired or of having to continue to tolerate an intolerable situation. The choices characterised above are not limited to feedback meetings; they are all too evident in virtually any difficult meeting, whether inside or outside the company: how do you manage to be direct and to-the-point without also being brutal or offensive? How can you be unfailingly courteous and respectful without then also beating around the bush and losing focus and impact? You CAN square that circle; and I'm going to suggest a few principles to adhere to which will make it easier for you to do so. Fix and announce a clear goal for the meeting. Stick to 'your truth'. Leave 'the truth' to omniscient beings and megalomaniacs. Put a clear accent on requests for the future rather than reproaches about the past. Let's look at each principle in turn (though in truth they're closely inter-related). Most meetings are insufficiently productive - in terms both of results achieved and the impact on relationships - because of a confusion between means and ends and between management goals and meeting goals. "I want you to understand there's a problem" is clearly a means to an (as yet unidentified) end not an end in itself. "I want you to improve things over the next 3 months" is a management goal which can only be measured over the coming quarter rather than a meeting goal which can be measured by the end of the meeting. Instead, how about something like: "I want us by the end of today's meeting to have agreed on a plan to ensure we're sitting here in 6 months with only positive things to say to each other; and I then hope you'll promise me you'll be doing everything you can to carry out that plan with enthusiasm and no loss of motivation." ? You'll have a much more concrete meeting (fully focussed on a positive future rather than a negative past) and you'll leave the meeting knowing EXACTLY where you stand relative to the goals you fixed yourself. You'll find it much easier to be direct (in this or any other meeting) if you tell the other person how you feel about having the meeting and in particular in announcing the goals you've fixed yourself. How you feel will depend on the kind of feedback you have to give, your relationship with the other person and their and your own personalities; and I don't want to invent feelings for you. In the past when having this kind of meeting, I've felt uncomfortable because I know I'll be saying stuff the other person won't enjoy hearing; but I've also told myself the meeting will be easier for both of us if I ensure it's constructive rather than critical. Speak from 'I' not from 'you' or 'it'. There's a world of difference - particularly for the person you're talking to - between "You're not doing a very good job" or "What you did last week was thoroughly unprofessional" and "I'm uncomfortable with some of the ways you're working". The last is legitimate in a way the first two are not, because it's clearly your truth and not presented as the truth; it's not a value judgement and it contains no criticism. When you start issuing criticisms or reproaches, don't be surprised if the other person defends themself - and usually by counter-attacking: "But you didn't give me a proper brief! How was I supposed to know what was expected of me?" The other person can't defend themself against something that hasn't yet happened. Again, there's a world of difference between "What happened yesterday was unacceptable. You came into my office like a headless chicken, you told me there was a problem but you didn't have any recommendations on how to solve it. "; and "What I need from someone in my team is, yes, when there's a problem I want to be informed quickly; but in the future I'd like you first to think about some options for solving the problem and to have a clear recommendation for me. How does that sound as a way of working together from now on?" "John, I'm probably not the only manager in the world who doesn't like evaluation meetings unless everything in the garden is 100% rosy. I wouldn't be doing you any favours if I pretended they were; but on my side I intend to ensure this meeting is about constructing for the future not criticising the past. "I've reviewed the last 6 months and I've also talked to colleagues in the department. There's stuff we're happy with but there's other stuff we're not yet happy with. I've thought about how we can fix this; and I obviously want to listen to your thoughts and ideas;..
"...and by the end of the meeting this morning, I want us to have agreed together on a concrete plan to ensure we're sitting here in 6 months with only positive things to say to each other; and I then hope you'll promise me you'll be doing everything you can to carry out that plan with enthusiasm and no loss of motivation. 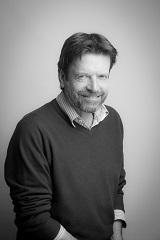 Alan Palmer is Managing Partner at Interactifs UK. Before joining Interactifs and setting up its UK operation, Alan spent 25 years working in multinational advertising agency groups, most recently holding a number of senior client-facing posts in the DDB network. He started running seminars for Interactifs in 2006 and has since done so across Europe (in France, UK, Switzerland, Netherlands, Spain, Poland), in the Middle East (UAE) and in Asia (China). He is the author of a book based on the Interactifs Discipline, "Talk Lean: Shorter meetings. Quicker results. Better relations." which was short-listed for the "Management Book of the Year Award" in 2015. He is a frequent speaker and lecturer on the theme of effective communication. He was educated at Oxford and INSEAD.